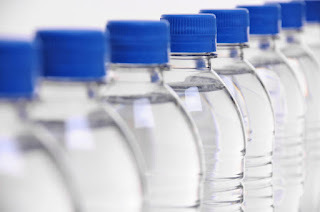 If I ask you when you last bought packaged drinking water last, I am sure you would not count it from long ago. Obviously, because gone are the days when we used to count water as a free goodie from nature for all of us. We now buy this essential for life thing in various amount as per our needs. Be it a shopping mall or an amusement park, hospital or restaurant, travel time or even at home we pay for our drinking water. I felt the man was really unhappy decreasing his demand by Rs.10, but my surprise was on top. How do I pay Rs. 50 for some water inside a pizza hut store which is of Rs. 20 outside? My surprise made me ask the man at the counter, "Why is it being sold at inflated prize here? The same bottle I bought a few minutes ago cost me just 20." The man seemed mocking on my counting penny attitude and all at the limited square feet store started looking at me for my questions. At this, my husband came and said, "Pay the money and take the bottle. Don't create a scene here". I replied, "I am not thirsty anymore". After we left the counter and started discussing over how I reacted there, the man from the counter asked in a louder voice indicating us only, "Do you want water or should I keep it back?" Everyone again started looking at me and I gave him my firm decision, "You please keep it back". Yes, I know those who can afford to have pizza of Rs. 600 can also afford a bottle of water at rs. 50. But this is seriously absurd in my eyes. I remember one more event when I was travelling in the train and the bottle with an MRP rs.15 was being sold at Rs. 20. I am sure no one among us likes to buy anything at more than its MRP. We hesitate to buy vegetables at an inflated price from farmers, we hesitate giving things to the poor or needy, then how we are ready to pay more than a justified price for a thing as essential as drinking water? My attention over how much I pay for drinking water was carried by a news I had read some time back in which the Court had held that no shopping mall or other entity has the right to charge any unreasonable amount for drinking water, thus, all the cinema places and malls must ensure availability of purified drinking water to the people at free of cost. The case was actually a complaint of someone akin to my thoughts who was unhappy with the multiplex policy of not allowing people to take drinking water with them inside the compound of multiplexes where people were compelled to buy packaged drinking water at an inflated price for the sake their basic need of drinking water. Since when it came to my knowledge, I always check for the availability of purified drinking water at every mall and multiplex, though I see people still buying packaged water at an inflated price and I notice how the drinking water source is made available at a hidden corner in a manner no one would notice. Its because I intentionally look for this free purified drinking water at such places, I know at few places people use it for washing hands finding them adjacent to restrooms without any glasses or note of drinking water there. Air and Water are those essential things for life which the nature has provided us for free. Still, we are paying for it because we could not protect it from getting polluted. Our sacred rivers become drains of waste in last few decades which made us earn money. Unfortunately, today, we are bound to pay the same money to have our life-saving water. Wow. This is such an interesting and informative post. Thanks so much. It is true that restaurants have many overheads, still the price is ridiculously high. Great post. Very in depth post. Really appreciate your detail and point of view. Thank you for sharing! I completely agree with you Shipra. I always feel bad and don't feel like wasting money for something which is sold at absurd price but sometimes it's an emergency and we have to buy it. I second your thoughts on this. I too get angry while paying for the unjustified prices of the products. This is really something to think about and we must also act on it. Its never too late to make amends. And awareness should always be with the consumers and they should make a vow not to get swindled by retailers. That's a thoughtful post Shipra and I think we all should raise our voice for such things. There is lack of awareness among the masses but definitely paying extra bucks for things as essential as water is too much. Thanks for writing about it! True to word, I've had the exact same thoughts at many occasions about bottled water being sold for more than they are priced at.